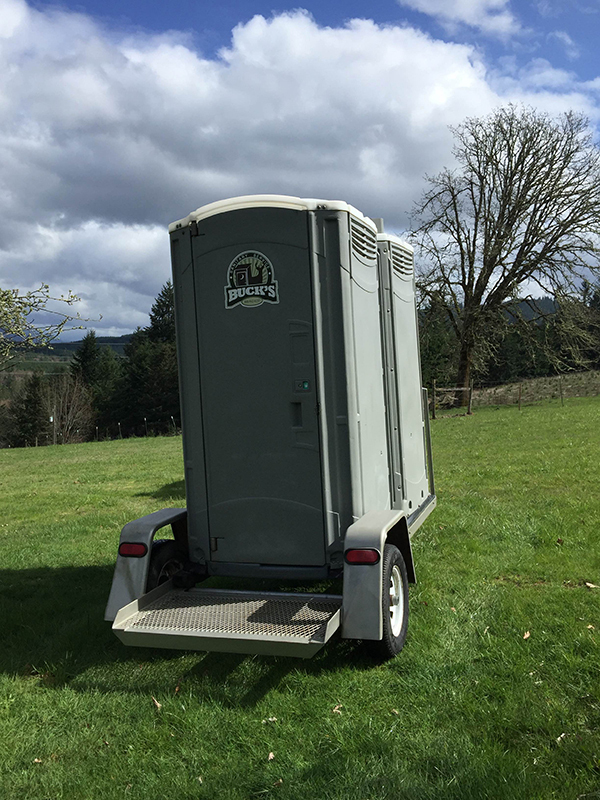 Single Towable Standard Unit – Great for agricultural use, road construction, and hunting or camping applications. We can either deliver it to your site or you can come pick it up in our yard and return when your adventure or job is complete. 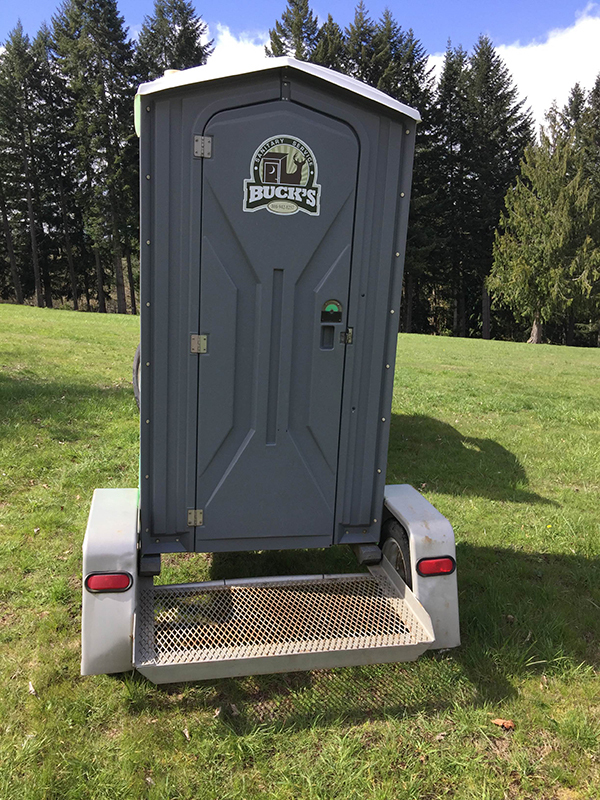 We will have it prepped with 4 rolls of toilet paper and smelling spiffy. If service is necessary, we can set it up for once a week, every other week, or once a month, depending on your needs. 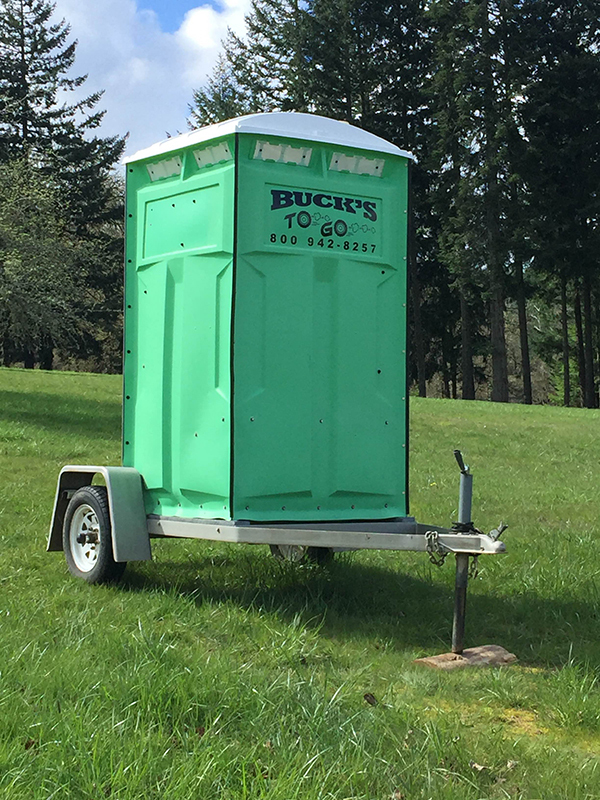 Double Towable Standard Unit – As the saying goes, “Double the fun!” Use our double Buck’s trailer unit when you have a larger work crew or have several campers. 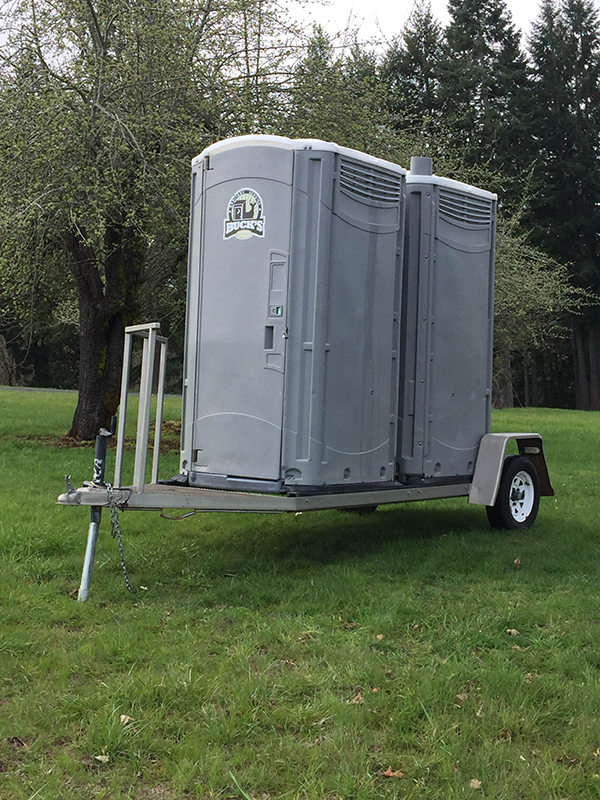 We have rented these units for remote athletic events where portable toilet service is not available. The race director grabs the trailer and tows it to the site and then brings it back to our yard when the “fun” is over. We have had hunters that rent the double unit and use one side for 2 weeks and then the other side for 2 weeks. 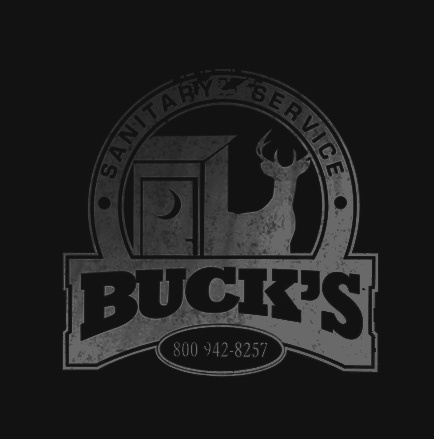 Take it with you when you “go” – Let “Bucks to Go” work for you! Requirements: The hitch requires a 2″ ball.